Nikkor 50mm f1.8G (FX), is perfect in low lighting situations and great for producing images with nice background blur (Bokeh). The 50mm f1.8G uses low cost 52mm filters and offers excellent sharpness at most apertures . Every Nikon photographer should own this lens. The Nikkor 50mm f1.8G earns 5 stars+! Nikkor 35mm f1.8G (DX), is perfect for landscape, and portrait photography. The 35mm f1.8(dx) produces the same angle of view as a standard 50mm (FX)when used on a crop sensor (DX) camera body. The 35mm f1.8G is very sharp at most apertures and uses 52mm filters. The Nikkor 35mm f1.8 earns 5 stars! Nikkor 18-55mm AF-S DX Zoom-Nikkor F3.5-5.6G, is designed exclusively for Nikon's crop sensor (DX) cameras. This 3x zoom features ED glass, standard 52mm filter threads and is very light-weight. The 18-55mm is an industry standard. The Nikon 18-55mm AF-S DX earns 5 stars. Nikkor 55-200mm AF-S DX VR, This 3.6x zoom is designed exclusively for Nikon's crop sensor (DX) cameras. Featuring ED glass, VR vibration reduction, and 52mm filter threads, the 55-200mm VR is ready for action. 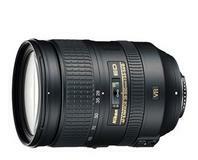 The Nikon 55-200mm AF-S VR earns 5 stars. 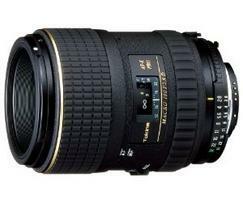 ​ Nikkor AF-S DX 18-200mm ED VR II, is an ideal one-lens solution for crop sensor (DX) dslr users. Featuring 11x zoom capability, ED glass, second genertion VR, 72mm filter threads and very good resolution. The Nikon 18-200mm VR II is all most casual photographers need. The Nikon 18-200mm ED VR II earns 5 stars. 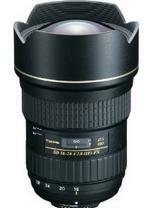 ​ Nikkor AF-S VR 70-300mm IF-ED (FX) zoom, is perfect when the 200mm lens are not long enough. Featuring ED glass, Nikon's VR, 67mm filter threads and internal focus. The 70-300mm VR is a great addition to most Nikkor lens set-ups. The Nikon 70-300mm VR earns 5 stars. Nikkor AF-S 28-300mm ED VR, is the new full frame (FX) one-lens solution. Nikon took most of the features from the classic 18-200mm ED VR (DX) and put them into a great fx lens. This lens is at home on DX as well as FX Nikon cameras. The Nikon 28-300mm ED VR earns 5 stars. 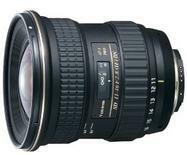 Nikkor AF-S 16-35mm ED VR, is a high performance ultra wide angle lens. Featuring ED glass, Nano Crystal Coat, 77mm filter threads. The 16-35mm is said to be the sharpest ultra wide, low distortion lens available today. 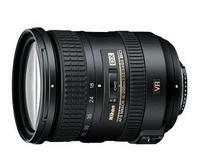 The Nikon 16-35mm F4 ED VR earns 5 stars. 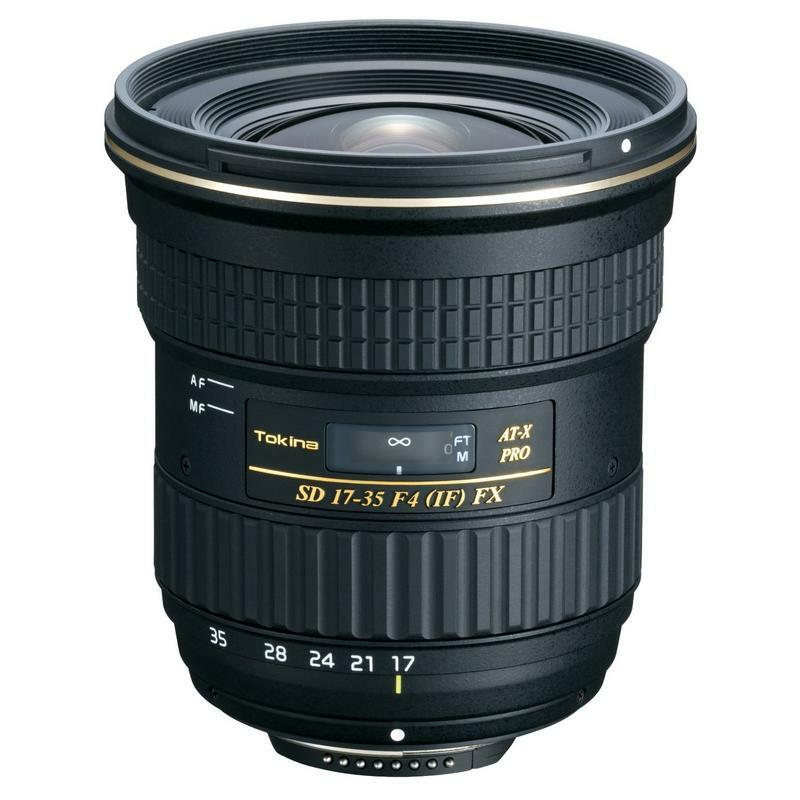 Nikkor AF-S 24-70mm f2.8G ED is designed exclusively for full frame sensor Nikon's (FX) but is also well suited for crop sensor (DX) Nikon cameras. The Nikon 24-70mm G has been dubbed "the world standard" for 24-70mm zoom lens. 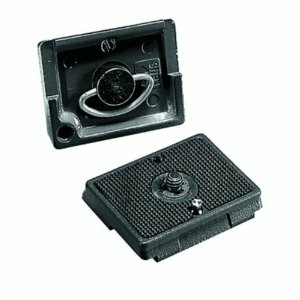 Fearuring ED glass, Nano, Crystal Coat, 77mm filter threads and rugged construction. 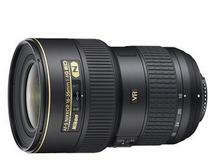 The Nikon AF-S 24-70mm f2.8G ED earns an easy 5 stars! Nikkor AF-S 70-200mm f2.8G ED VR II is designed exclusively for full frame sensor Nikon's (FX) but is also well suited for crop sensor (DX) cameras. 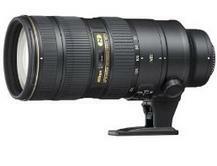 The Nikon 70-200mm F2.8 G ED VR II has also been dubbed "the world standard". Featuring 7 ED glass elements, Nano Crystal Coat, 77mm filter threads and 9 blade aperture. 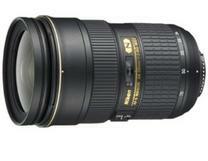 The Nikon AF-S 70-200mm G VR II earns an easy 5 stars! 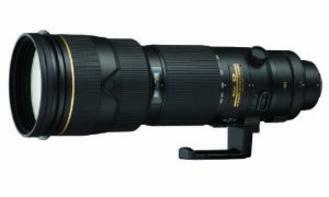 Nikkor AF-S 200-400mm F4G VR II is a unique super zoom. Featuring incredible image quality ulilizing 4 ED glass elements, 9 blade diaphram, Nano Crystal Coat, 52mm drop-in filters, 3 focus mode, powerfull VR II, close focus distance 6.5 feet and very rugged construction. The Nikon AF-S 200-400mm f4G VR II earns 5 stars! 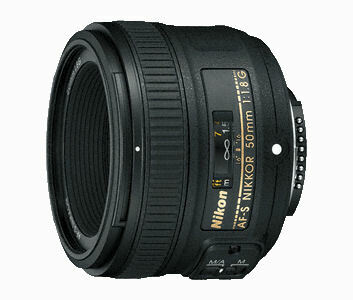 Nikon AF-S TC-1.4EII expands a lens focal length by a factor of 1.4 times the its focal length (50mm=75mm app.). You can verify your lens compatibility @ Nikon.com. The Nikon TC 1.4 II earns an easy 5 stars! Nikon AF-S TC-20E III expands a lens by a focal factor of 2x (50mm=100mm). You can verify your lens compatibility @Nikon.com. The Nikon TC 2.0 earns 5 stars! 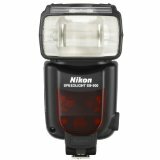 Nikon SB-900 AF Speedlight earns 5 stars! 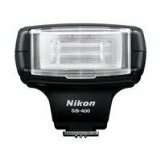 Nikon SB-700 AF Speedlight earns 5 stars! 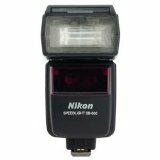 Nikon SB-400 AF Speedlight earns 5 stars! 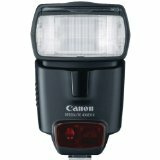 Canon Speedlite 580EX II is flagship of Canon's Speedlite line-up. Dust and water resistance, this flash unit is jam packed with professional features. The Canon 580EX II earns an easy 5 stars! Canon Speedlite 430EX II is packed with many of the features of the Flagship 580EX II and can handle the most demanding photographic needs. The Canon 430EX II earns 5 stars! 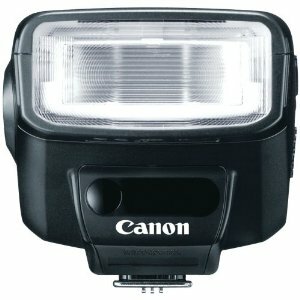 Canon 270EX II makes flash photography fun and easy. The Canon 270EX II earns 5 stars! Canon EF 50mm f1.8 II USM is ideally suited for any type of photography. This lens is sharp, light and uses standard 52mm filter threads. The 50mm f1.8 should be in every Canon photograhers bag. The 50mm f1.8 earns 5 stars! 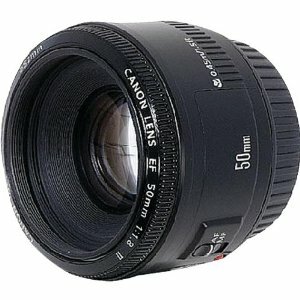 Canon EF 50mm f1.4 USM is a semi-professional lens that is great for landscape and portrait photography. The f1.4 aperture creates soft, pleasing backgrounds (Bokeh). The 50mm f1.4 uses 58mm filters and focuses very quietly. The Canon EF 50mm f1.4 earns 5 stars! Canon EF-S 18-55 f3.5-5.6 IS II is Canon's standard 'kit lens but there is nothing standard about it. This lens is capable of capturing exciting images. Featuring excellent IS and 58mm filter threads. The Canon EF 18-55mm IS II earns an easy 5 stars + ! Canon EF 18-135mm f3.5-5.6 IS is a very versitile zoom. 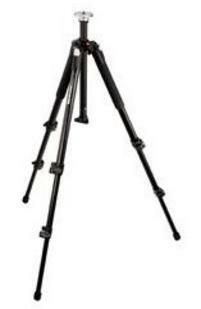 Steady image stabilazation is acheived through the use of Canon's effective IS. Called 'the ideal walk around lens' for Canon users, it's ready for action. The Canon 18-135mm IS earns 4 3/4 stars! 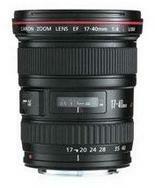 Canon EF 18-200mm IS has also been called 'the ideal walk around lens' for Canon users. Good sharpest and good balance make this lens a favorite for active photographers. The Canon EF 18-200mm IS earns 5 stars! Canon EF 70-300mm f4-5.6 IS USM has the extra reach that the 200mm class can't provide. Image Stabilazation is a must have to reduce image blur that can happen at slow shutter speeds at the long end of these zooms. The Canon EF 70-300mm f4-5.6 IS USM earns 5 stars! Canon EF 300mm f4 IS USM is a great wildlife/action lens. Featuring Canon's exclusive IS (image stabilization) making the lens a powerful addition to any photographers set-up. The close focus distance is a close 4.9 feet is macro like. The Canon EF 300mm f4 IS USM earns 5 stars! Canon EF 17-40mm f4L USM has superior optics. Featuring Aspherical elements as well as Super Ultra Low Dispersion elements and silent USM auto-focus. This professional super wide angle zoom uses 77mm filters. Light weight, weather resistant construction and superior sharpness the EF 17-40mm f4 is a winner. The Canon EF 17-40mm earns 5 stars! Canon EF 24-105mm f4L IS USM is in a class all by itself. This lens can replace two or three lense in a professionals bag. The 24-104mmL is a great portrait, landscape, wildlife and family lens. using 77mm filters this lens complements the EF 16-35mm f2.8L or the EF 17-40mm f4L nicely. The Canon EF 24-105mm earns an easy 5 stars! 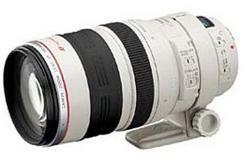 Canon EF 70-200mm f2.8L IS II USM is the new 'world class' 70-200mm Canon super zoom. Featuring fast 2.8 speed, one fluorite and five Ultra Low Dispersion glass elements. Canon's dust and moisture resistance and superior Image Stabilization make this beauty the professionals choice. The EF Canon 70-200mm F2.8L USM earns an easy 5 stars! ​ Canon EF 70-200mm f4L IS USM is the favorite 70-200mm for photographers that need to lighten their load while not losing any quality. Featuring fluorite Ultra Low Dipersion glass elements and Canon's rugged dust and moisture exterior and lighter weight makes the EF 70-200mm f4L IS a real winner. The Canon EF 70-200mm f4 L IS USM earns an easy 5 stars! 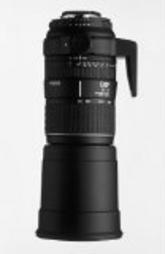 Canon EF 100-400mm f4-5.6L IS USM has a large zoom range, fluorite and Ultra Low Dispersion glass. 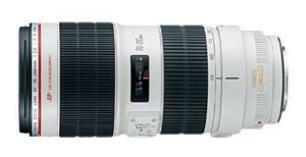 The 100-400mm also features Canon dust & moisture proofing and Canon's IS image stabilation. The Canon EF 100-400mm f4-5.6 super zoom earns a 4 3/4 stars! Canon EF 1.4X II is a high quality 1.4 times teleconverter. The Canon EF 1.4X II earns 5 stars! Canon EF 2X II is a high quality 2 times teleconverter. The Canon EF 2X II earns 4 3/4 stars! Canon EF 1.4x III & EF 2x III are the newest versions of Canon's classic teleconverters. Built in microcomputer works to improve communication between converter, lens and camera. 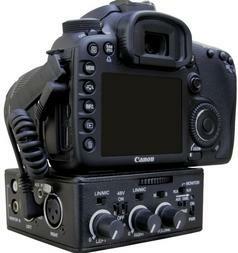 The new Canon III series teleconverters earn an easy 5 stars! Canon EF 400mm f5.6L USM is a wildlife photogrphers dream. This beauty lacks the IS that other Canon telephoto's have but this lens makes up for that short coming with really sharp image quality edge to edge. The 400mmL's low comparitive cost makes this lens a winner. The Canon EF 400mm f5.6L USM earns 5 stars! Sigma 8mm f3.5 EX DG Circular Fisheye is a top quality lens. A 3rd party lens of this quality begs the question: Why didn't the big boy's create this one? Sigma 170-500mm DG IF is an older lens that deserves a second look. The higher iso/lower noise dslr's of today allow much higher shutter speeds there for lessening the need for image stabilization. 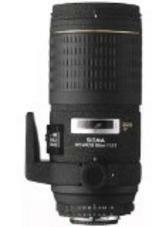 This Sigma 170-500mm can still be found used on E-bay, B&H Photo as well as Adorama . Sigma APO Macro 180mm DG HSM and the new APO MACRO 180mm EX DG OS HSM are very sharp true macro/micro 1:1 ratio lens. The newest 180mm EX DG OS HSM has an extra feaure like Optical Stabilizer. 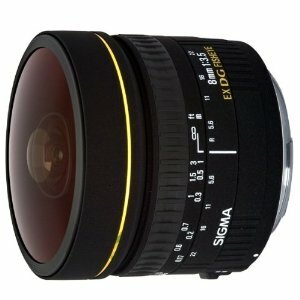 Sigma has many lens offerings that rival the big boy's. The Sigma APO Macro 180mm's are worth a long look. Sigma APO 80-400mm DG OS HSM is an older lens that still performs well with the newer dslr's available today. This Sigma 80-400mm is very light and produces sharp, high contrast images. 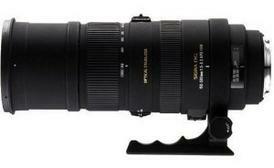 The Sigma 80-400mm is also worth a long look. Sigma 150-500mm f5-6.3 APO DG OS HSM is a very popular super telephoto lens. This lens works well with Sigma's other super lens, like the professional quality APO 70-200mm f2.8 DG OS HSM. Together they make a powerful combination. The #1 most asked question in photography is: Which is the best camera for me? Since I don't accept endorsement $ from any equipment manufacturer's, the answer is easy. The camera you have with you...is always the best. This statement doesn't take into account how many mega-pixels or frames per second a given camera can produce. Ignoring weather resistance claims, video performance claims or any of the marketing 'hype' that is churned out daily by the photographic media. What good is an expensive 'gazillion' mega-pixel camera if it's too big and bulky to comfortably carry with you? 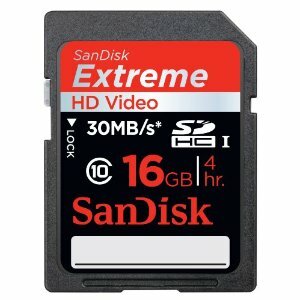 Today's Smart Phones and Point and Shoot digital devises are capable of capturing very nice images. So my question is: What do you intend to do with your pictures? If your plans include enlargements up the 20"x30", then you need a camera system capable of delivering resolutions that can give those results. On the other hand, camera's featuring 6mp to 12mp sensors are all most people need capture images of family and travel for sharing via the internet or photo books. Most social media sites will reduce and automatically correct images that are too large for transfer and digital storage. So high mega-pixel cameras are not needed for internet use. 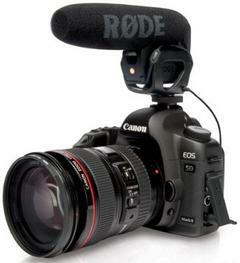 You will get more 'bang for your buck' if you invest in an assortment of quality lens or some good editing software. 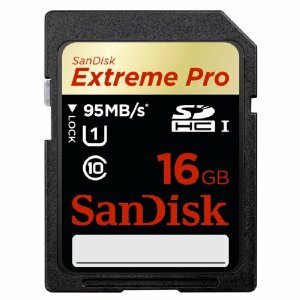 The reviews on this page are a short list of most of today's (and yesterday's) top photography products. Nikkor AF-S 80-400mm ED VR is a very handy lens to have in your bag. The 80-400mm is right at home for portrait use as well as close-ups of wildlife. Nikon's use of ED glass really makes this lens shine. Available around $1,699.00. The 80-400mm VR earns 5 stars! 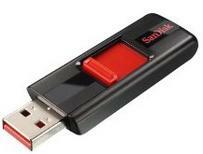 For a complete review of Rode or BeachTek products go to their respective sites. According to DXOmark.com the Nikon 105mm Micro f2.8 is the highest resolving dslr lens available today. $999.00 new, $799.00 used. Nikon 105mm Micro earns an easy 5 stars! Canon's EF 28-70mm f2.8L is one of the best performing zooms every created. DXOmark rates this lens slightly above Canon's other super lens in this focal lenght (24-70mm f2.8L). The 28-70mm f2.8L is still available used for around $900.00 and rates an easy 5 stars! Sigma 70-200mm f2.8 DG OS HSM is one of the sharpest mid-range zooms available today. 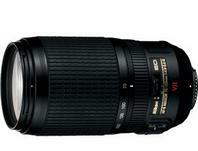 The Sigma 70-200mm f2.8 sells for around $1,450.00 and $1,150.00. The Sigma 70-200mm f2.8 DG OS earns 5 stars! Sigma 85mm f1.4 EX DG HSM is the 2nd sharpest dslr lens available today. SLD glass and 77mm threads make this lens a winner. $999.00new $799.00 used. Various comparative sensor/film sizes used in the different style cameras. Fuji Velvia 50 Professional is my favorite slide film. It's world class colors and super fine grain separate this film from all others. 35mm Velvia 50 earns 5 stars! Kodak's Tmax 400 and Tmax 100 are my favorite black & white print films. Tmax is still in production as of 12-2011 so get it while you can. T-max 400 and 100 earn 5 stars! Kodak's vivid color and fine grain professional print film. Ektar 100 earns 5 stars! Tamron 17-50mm f2.8 is one of the sharpest crop sensor (DX) lens i've ever used. Tamron hit a home run with this lens. 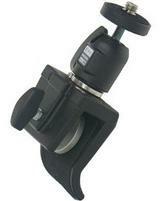 It comes in non VC and the newer version with Vibration Control. Tamron 18-270mm VC is an awesome all in one lens perfect as a walk around, landscape, and family protrait lens. The Vibration Control makes crisp, clear long telephoto's shots possible. Tamron 28-75mm f2.8 is a nice low cost alternative to the big boy's lens in the focal range. It's light weight and produces good image quality. 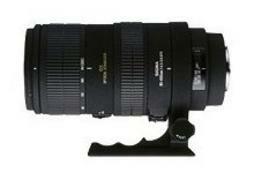 Tamron 70-200mm f2.8 is a professional quality zoom that features a fast 2.8 maximun aperture. Tamron lens have long been prized for their slight amber (warm) tonal effect. I think this lens blocks more UV light than other 70-200mm f2.8 professional zooms. Tamron AF 90mm f2.8 macro is one of the sharpest lens i've ever used. Macro/Micro photography can be fun and rewarding. This lens makes it easy to capture of amazing images. Tamron AF 200-400mm super telephoto is a very popular, low cost way to get the extra reach you need for those wildlife photo's you would miss other wise. Tokina AT-X Pro FX 16-28mm f2.8 is a new world class super wide lens that offers excellent sharpness edge to edge. This lens is destined to be a classic. Tokina AT-X Pro DX 11-16mm f2.8 is a very sharp low distortion super wide angle lens designed for crop sensor DX cameras. T0kina AT-X 100mm f2.8 Macro has developed a reputation as being a really fine macro lens. Nikon F-5 earns 5 stars! Canon AE-1 earns 5 stars! Classic look Fuji Professional Velvia 120 medium format film earns 5 stars! Professional Filter Kit. Dslr users don't leave home without them ! 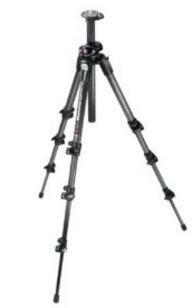 Quality tripod and accessories. One of the key's to great creative photography. Celestron bulids some the best consumer grade telescopes made today. Using a very acurate electronic tracking system. 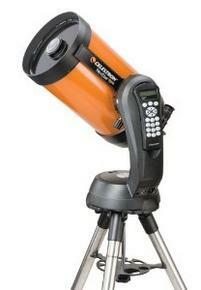 Celestron telescopes rate 5 stars! 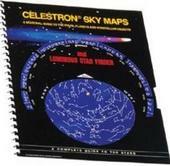 Celestron Sky Maps are an easy to understand charting system to follow earths rotation. They rate 5 stars! Nikon binoculars are a cut above most of their competitors. Nikon Binoculars rate 5 stars! 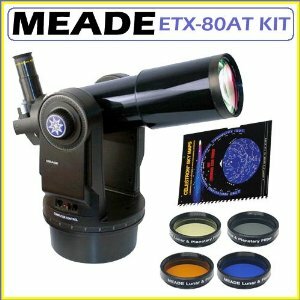 Meade produces some of the best telescopes availible today. Meade products rate 5 stars! 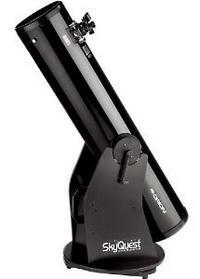 High power and large objective lens make these Celestron binoculars a must for viewing faint deep space objects. Celestron binoculars rate 5 stars! Nikon FM-2 earns 5 stars! Canon A-1 earns 5 stars! Compact medium format super camera . Fuji GF670 120 flim earns 5 stars! Orion SkyQuest XT8 classic dobsonian telescope. This catagory of telescope is specially suited for deep space viewing. Often called the 'light bucket'. The Dobsonian design see's faint objects easier than other telescope designs. available for around $350.00. 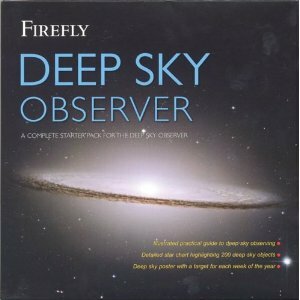 Fireflies Deep Sky Observer is a must for Dobsonian/Newtonian telescope users. available around $20.00 paperback. 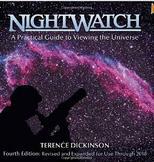 NightWatch for astronomers is another classic guide book that can help you maximize your viewing experience. available around $25.00. 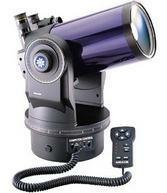 Orion Apex 90mm Maksutov-Cassegrain Telescope offers portability and ease of use that makes this scope a joy to use. MSRP $399.00 with sale prices around $230.00. Nikon N90s earns 5 stars! 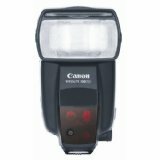 Canon T-90 earns 5 stars! Hasselblads went to the moon with the Apollo Missions. Hasselblad 530 CW earns 5 stars! Often called the 'perfect camera'. The Mamiya 7 easily earns 5 stars! Tiffen, Canon, Cokin and B+W filters all rate 5 stars! 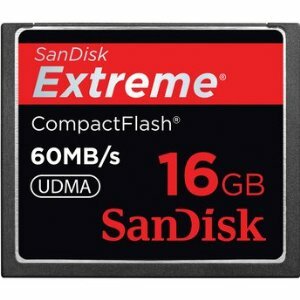 Samyang/Rokinon 35mm f1.4 AS UMC is the sharpest 35mm manual focus dslr lens available according to DXOmark.com. 77mm filter threads $499.00 new $425.00 used. The 35mm Samyang/Rokinon is a very low distortion lens. The 35mm f1.4 earns 5 stars! Samyang/Rokinon/Bell & Howell 14mm FE 14m-c f2.8 Aspherical is one sweet superwide. $39900 new $299.00 used. The 14m-c asp is a manual focus lens and is available in Nikon and Canon EF mounts. The FE 14m-c earns 5 stars! Many of today's medium format professional digital camera's use a combination of sensors. Combining image information gathered from 4 FX sensors into one image can produce amazing results. Tokina AT-X 17-35mm is Tokina answer a high quality alternative to expensive manufactors lens that don't always live up to their hype. The Tokina 17-35mm easily earns 5 stars!